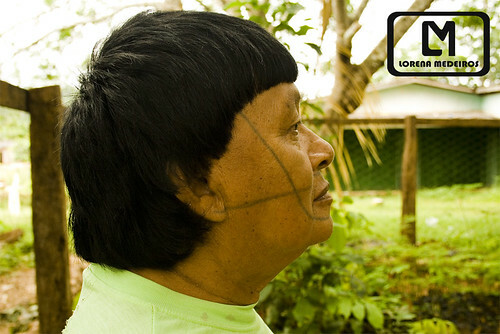 The Suruí, also called the Suruí-Paíter, are an indigenous people who live in the Rondônia region of Brazil. First prolonged contact with the modern world came in the late 1960s, the Brazilian government laid the 2,000-mile Trans-Amazon Highway through Rondônia. 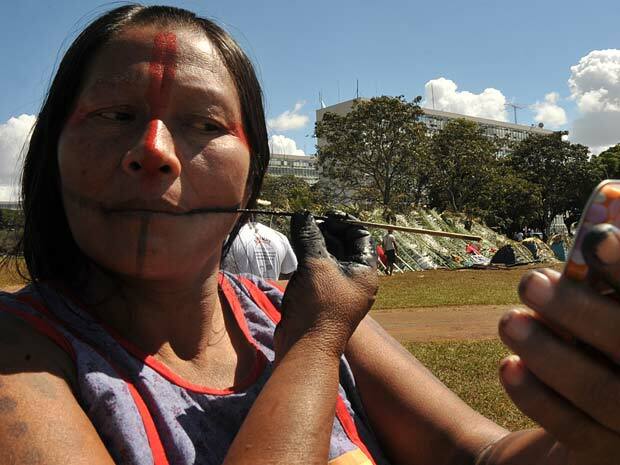 The tribe was decimated by disease – nearly 90 percent died within a few years. The Surui have recently made headlines as one of the first indigenous people of South America to use high-tech tools (in particular Google Earth) to police their territory. In cooperation with Google Earth Outreach, they can request more detailed satellite photos when they spot suspicious areas. If loggers or miners are detected, they refer the case to the authorities who have them removed. Satellite pictures show that this is highly effective as the Suruí territory is the only intact remaining piece of rainforest in the area. The Surui have recently launched a forest carbon project as part of their 50-year tribal management plan. A recent legal opinion by Baker & McKenzie determined that the Surui own the carbon rights to the territory, setting a precedent for future indigenous-led carbon projects in Brazil.